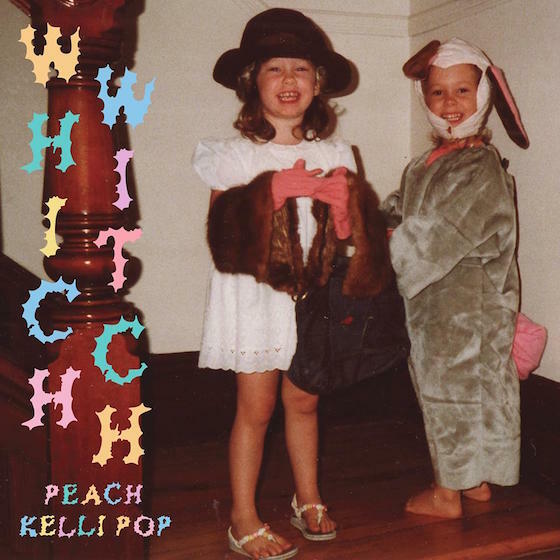 Peach Kelli Pop's Which Witch may be brief — none of its six tracks crack the two-minute mark, with the whole thing clocking in under seven — but its brevity proves an effective showcase of Allie Hanlon's songcraft. Recorded alone on home equipment by the L.A,-based Hanlon during a visit to her hometown of Ottawa, the EP's guitar-fuelled rocket speed pop punk finds her setting feelings of malaise and depression to lively, punchy hooks. "Pitch Black" opens the EP with a jangling ode to self-doubt; "Rocky Mountains" adds in a grungier crunch. "Los Angeles" blasts along a speedy riff before opening up into a cinematic, moment-of-clarity chorus: "you can do anything you want / but you're all alone." The EP's finest two moments land during its final ones: "Crooked & Crazy" embeds its battle with depression in a near-perfect power-pop punch, while "Drug Store's Symbol of Happiness" lets a wavering hook close the EP like a sunset, its warm layers falling over a lyrical turn to focus and affirmation.